Actively, such as in the case of daily performance monitoring of safety issues, including their associated hazards, risks and control measures identified during issue management. So, when we talk about “safety performance monitoring,” we need to always specify whether we are talking about passive or active performance monitoring if the context is not clear. Whether active or passive, performance monitoring is always based on data. Data can be analyzed and compared in different ways to produce different views of safety performance. To do this, you will need different types of data analysis tools. You will be able to see these data analysis tools in action at the end of this article. Having one tool for safety performance monitoring will always produce biased and unreliable results. Conclusions of safety performance should only be drawn after assessing your SMS from multiple angles, and multiple types of data. The tools listed in this article are not meant to be all-encompassing. By this, we mean that there are other charts and tools that can supplement or replace those listed below. We want to provide some inspiration, i.e., samples so your safety team can either develop these tools or purchase full-featured, low cost SMS database software that allows you to easily monitor your aviation SMS. 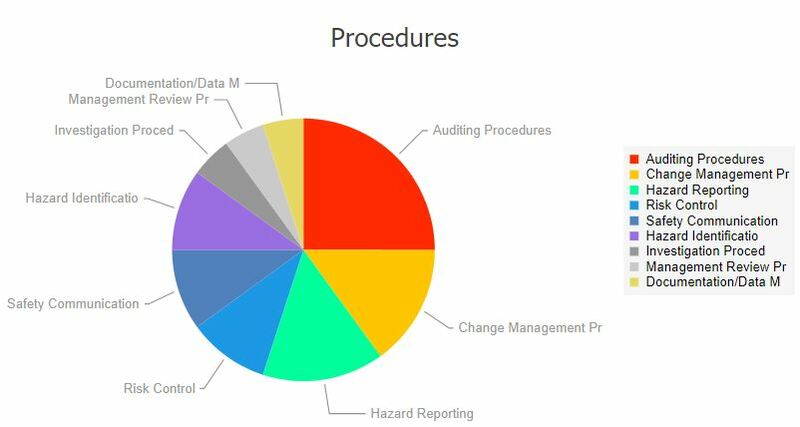 If you are using paper and MS Excel to monitor safety performance, you will have a more difficult time monitoring safety activities, including demonstrating continuous improvement. Effective aviation SMS performance monitoring will be painful unless you can sustainably access data and subsequent charts that pull safety performance data. If you don't have access to good SMS database tools, you should consider including SMS tools in your budget. Organizations with poor safety cultures do not typically capture all relevant safety data. Consequently, data captured to monitor the progress of the SMS will be incomplete and suspect. As safety cultures improve, hazard reporting increases and safety teams and upper management can be assured data is not as skewed as before. easily accessed using modern web-based technologies. These following examples can be created or easily adopted at your company. You may call them something different. Please review these tools (using the accompanying link in each section) to thoroughly to ensure you understand the purpose and benefits of these types of tools. Again, these are examples to lead the discussion and are by no means the complete list of safety performance tools. A very useful visual tool for SMS reports and safety newsletters. Risk analysis charts are best created in an integrated aviation SMS database, whereby charts are created automatically, in real time as data is received. You could create these charts in MS Excel, but don't expect to have the time, energy or data available for continuous performance monitoring. When skilled labor is cheap, upper management may not realize value in having an SMS database generate these reports instantly. It may be that upper management may not realize how burdensome it is for you to generate these safety performance reports. This is an opportunity to prepare the business case and demonstrate the many benefits of commercially available aviation SMS database software. 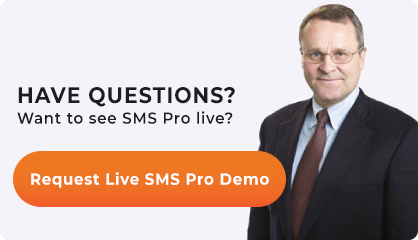 Allow you to visualize the more important elements of your SMS program. Safety objectives that are/aren’t being met. A word of caution here. You will need an easy way to create and manage your key performance indicators. The aviation industry operates in an open system; therefore, the operating environment is constantly changing. Expect your KPIs to also change as your SMS matures or the operating environment changes. Being able to quickly spot trends reduces organizational risk and allows safety teams to develop corrective risk management strategies to mitigate risk in a more timely fashion. Data analysis tools are indispensable for seeking out the finer elements, mechanisms, and relationships that drive safety performance in your aviation SMS. A data analysis tool provides you secure access to large chunks of diverse data, whereby you can pull out certain pieces of the data to draw conclusions. These types of reports are commonly investigatory in nature and are considered "one-off" reports, i.e., you don't know what you are looking for specifically. Find underlying causes of more general data (i.e., risk analysis charts). What is the relationship between X and Y? Is there a root cause reason why X happens? Data analysis a specific activity that is not performed regularly, but used as a part of a quarterly or annual review process. Data analysis is an extended activity that can take up to a week of constant data mining. Grouping by similar data elements. It goes without saying that you will need access to your SMS database to query your safety data. 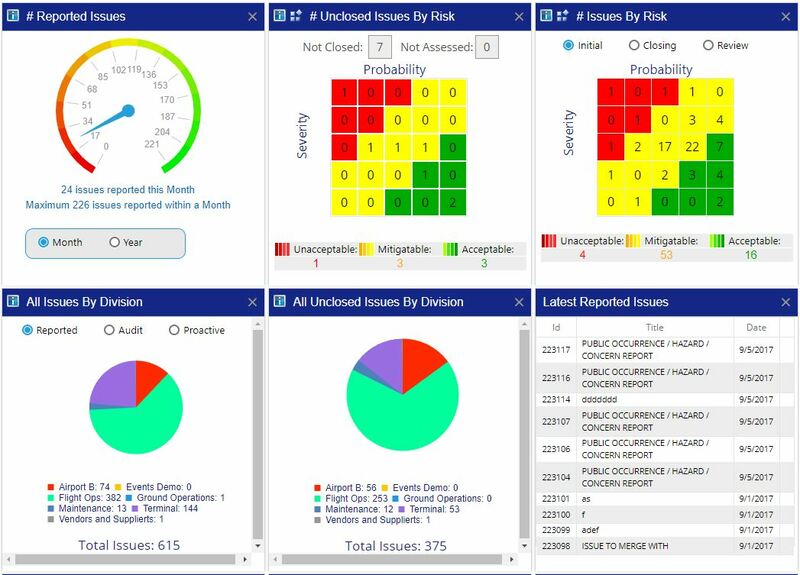 Performance trend monitors are a risk management tool that hybridize risk analysis charts and key performance indicators. Performance monitors are designed to give more complex, specific data metrics than risk analysis. But they are also designed to provide data metrics beyond KPIs. 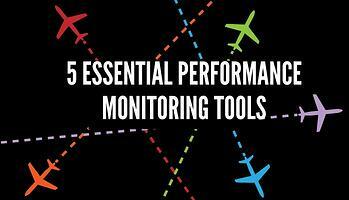 A primary example of a performance trend monitor is the development of aviation leading indicators. They provide very complex and useful data that are perfect for trending negative and positive elements of the SMS that don’t relate directly to safety objectives. Reviewing trending charts should be performed on a monthly, quarterly or annual basis. This will be dependent on the volume of safety data entering your SMS database. Finding holes (blank spots) in your SMS that require more attention. An SMS dashboard is an extremely valuable, everyday tool that will show you any number of useful data elements for monitoring daily performance of the SMS. An SMS dashboard can communicate this data efficiently, as shown in the example image. An SMS dashboard is wired up to the SMS database. There are a couple strategies for accessing data to display these charts. The most common strategy in modern SMS databases is to query the data in real time and create new charts each time a visitor sees the SMS dashboard. Another strategy is to generate the reports on a daily basis and serve "canned charts." In this approach, the dashboard is not displaying SMS data in real time and are subsequently less accurate than real-time reports. SMS database engineers may choose "canned charts" for performance reasons or to generate PDF report libraries. In my opinion, a well-designed SMS database should be pulling data back in real-time. Real-time data analysis minimizes risk and offers upper management assurance that the data is complete and hopefully accurate. The following videos demonstrate all of these tools in action - used in real aviation SMS programs. Published January 2018. Last updated December 2018.